This annual event, is the UK’s most prestigious firework festival. In September it celebrated its 20th year and took place on Saturday 1st September at Catton Hall, Walton upon Trent in Derbyshire. 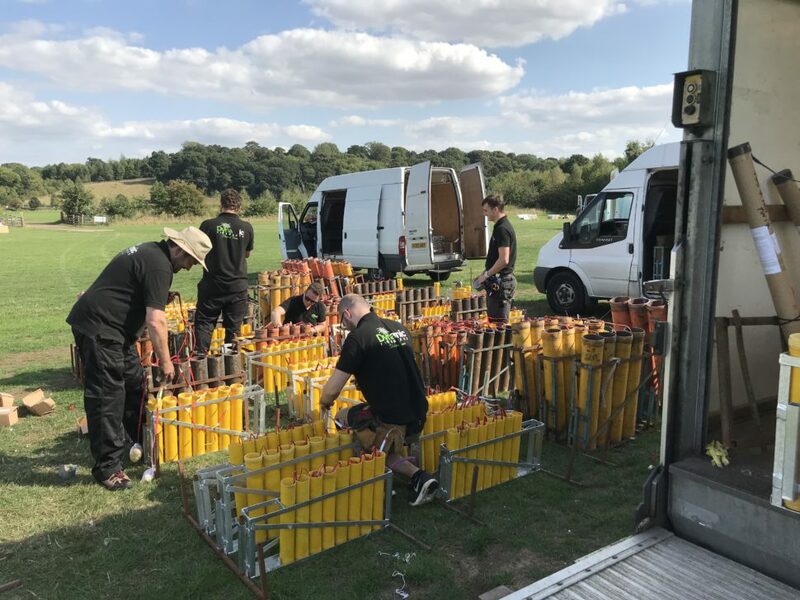 The Festival of Fireworks is organised by Jubilee Fireworks, alongside their own display, each year three other leading professional firework companies are chosen to represent the industry. Each company designs and fires a ten minute musical display show casing the latest design techniques and effects in pyrotechnic world. 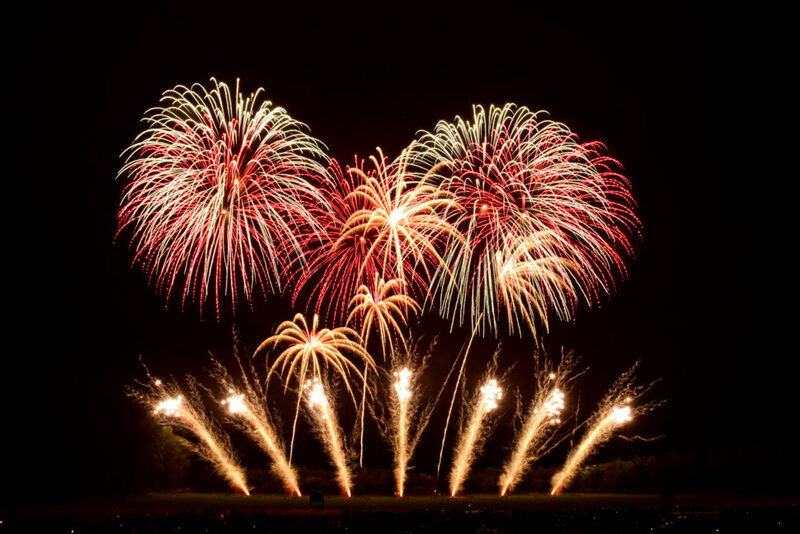 Dynamic Fireworks were very proud to have be selected to display at this year’s event and alongside Jubilee Fireworks from the West Midlands; G2 Fireworks from Middlesbrough, Bright Sparks from Clywd to show cased an incredible musical extravaganza. The festival of fireworks was a whole day experience, during the afternoon, there was a Steam Rally with over fifty steam locomotives, miniature engines and vintage vehicles. Plus, a food festival with a variety of catering stalls offering meals from around the world. However, the main attraction of the day commenced after the sun set and the anticipation built for the firework displays. The festival is not a fireworks competition as it has a non-competition format, which meant that the companies displaying were not constrained to competition restrictions. Consequently, the top pyrotechnicians the country were free to really show case their design talents with the most creative innovative jaw dropping firework displays. Making it the most amazing night, not only for fireworks in Derbyshire but the UK, with everyone leaving awestruck having witnessed four of the firework industry’s top display teams in action. Catton Hall is a stunning location to hold this prestigious firework spectacle. The present house and grounds nestled on the banks of the River Trent and have in the Neilson family since 1405. It is currently run by Oliver and Lindsay Nelson. With close by motorway links yet set in beautiful and idyllic countryside it is a perfect venue hosting a variety of public events across the year, from Classic Car Shows, Rock Concerts and of course Catton Park fireworks 2018 with the Festival of Fireworks. 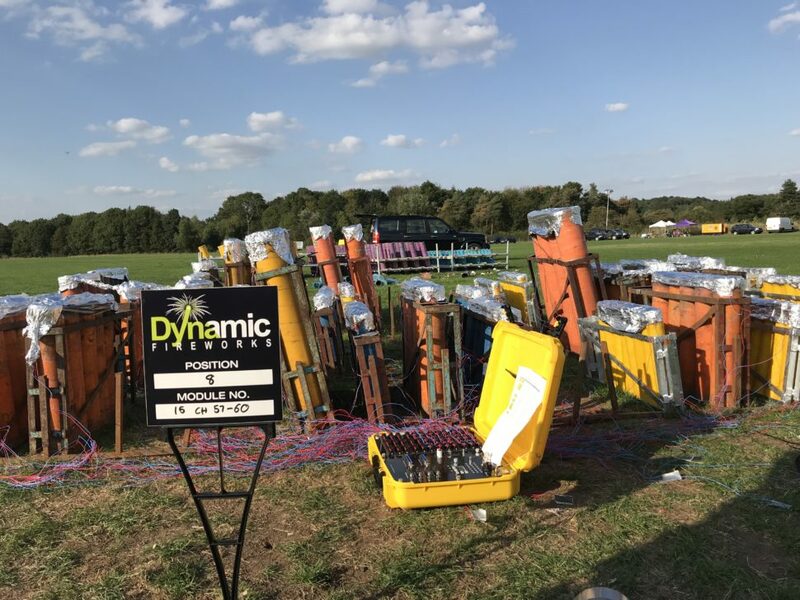 Dynamic Fireworks were confirmed as being one of the exhibitors at the Festival of Fireworks back in March. At this point we started work on our display, firstly deciding on the music for our fireworks display. This was a challenge with so many songs in the charts and used in past pyromusicals that would be perfect to choreograph a showcase firework display to0. We had to create a shortlist. We wanted a unique opening, some recognisable modern music in the middle and a dramatic and rousing track for the finale. The tracks we finalised on were Armin Van Buuren – This is a test, Dua Lipa’s – New Rules, Foo Fighters – The Sky is a Neighbourhood and Future World Music – Dreamchasers. 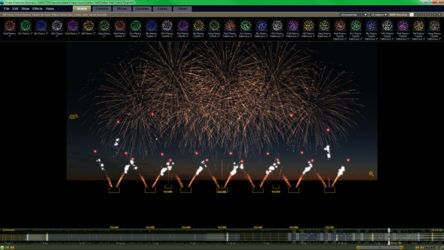 Once we created our 10 minute mix of the tracks, we imported the music into Finale Fireworks software to begin the design process. The company’s two display managers spent hours choosing the number of firing sites, sourcing the type and effect of fireworks wanted for the display. Then weeks of preparations began, with over 1000 cues in the display. Many of which being single shots with specific angles required to create the lines and visual aspect we were looking for. 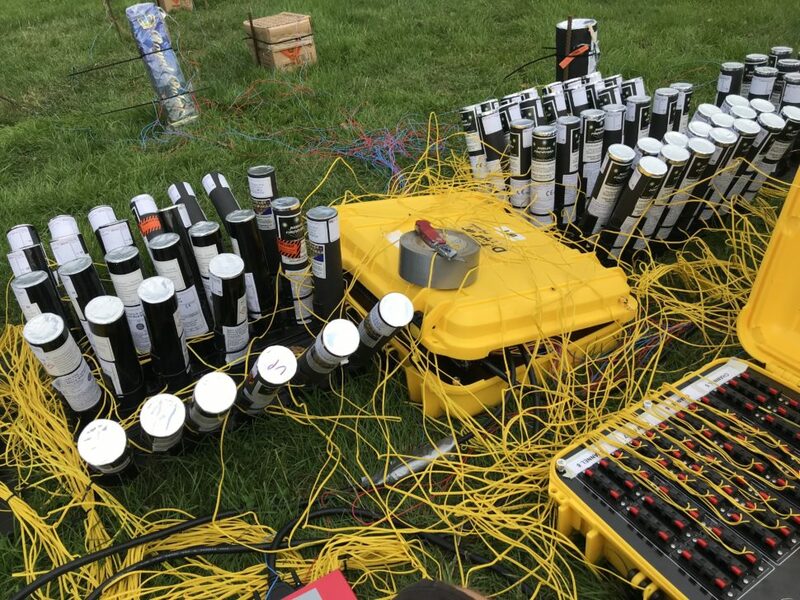 Hours were spent putting together over 30 different single shot plates, 28 comet racks and picking and packing the fireworks into each position of the display to save time on the day of the event. The crew of eight left our firework stores on the friday morning before the event. Aiming to arrive by midday to start the rigging of the display. With 10 positions to rig we started with the aerial shells positions which consisted of three locations approximately 45 metres apart. The team worked through setting up the shell racks, loading shells and wiring the shells into the firing module. Each position had over 330 aerial shells varying in sizes from 2.5″ to 6″ and taking around 2 hours each position to complete. The day of the event arrived and we began at 7.30am to rig the front seven sites. Firstly with positioned the fireworks on each position and then broke into teams, working through staking and securing each position with a team following behind wiring each position in turn. We completed setup mid-afternoon, which then followed by testing each position for faults. With the displays not due to start till around 8pm. Brightsparks were the first team to fire, followed by Dynamic Fireworks, then G2 Fireworks and Jubliee Fireworks providing a stunning finale display. Standing at our firing desk waiting to fire, is always a nervous time. Praying to the Pyro Gods for a safe and successful fireworks display. Our time had come and we armed the firing system, got the ok to fire. Press fire and the automated display sprung into life. Take a peek at the Official footage filmed by 1605 Productions.